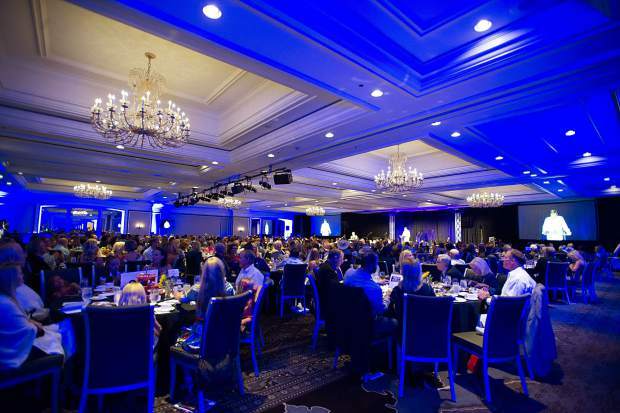 Guests filled the ballroom at the Vince Gill and Amy Grant 14th Anniversary Gala and Golf Classic at the St. Regis Monday evening. 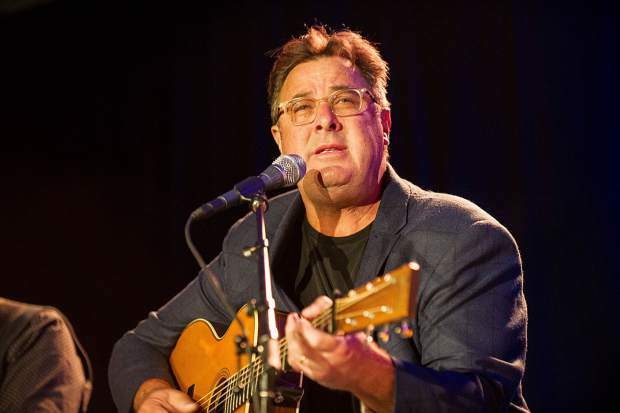 Vince Gill performing at the Challenge Aspen benefit known as the Vince Gill and Amy Grant 14th Anniversary Gala and Golf Classic at the St. Regis Monday evening. 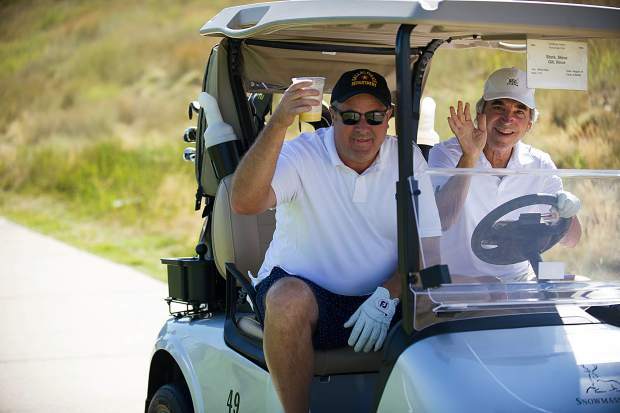 Vince Gill, left and his friend Steve Stark drive off in their cart after teeing off of hole 11 at the Snowmass Club for Challenge Aspen benefit known as the Vince Gill and Amy Grant 14th Anniversary Gala and Golf Classic on Tuesday. 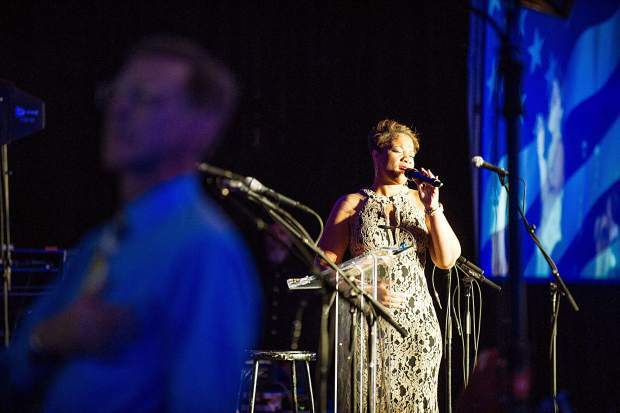 Veteran Zaneta Adams singing the National Anthem at the Vince Gill and Amy Grant 14th Anniversary Gala and Golf Classic at the St. Regis Monday evening. 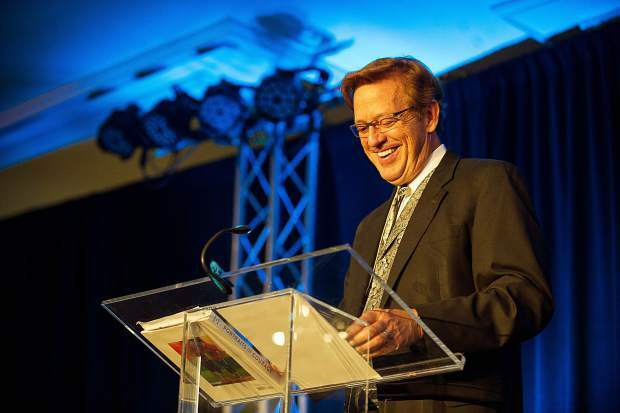 Challenge Aspen founder Houston Cowan laughing during part of his speech at the Vince Gill and Amy Grant 14th Anniversary Gala and Golf Classic at the St. Regis Monday evening. 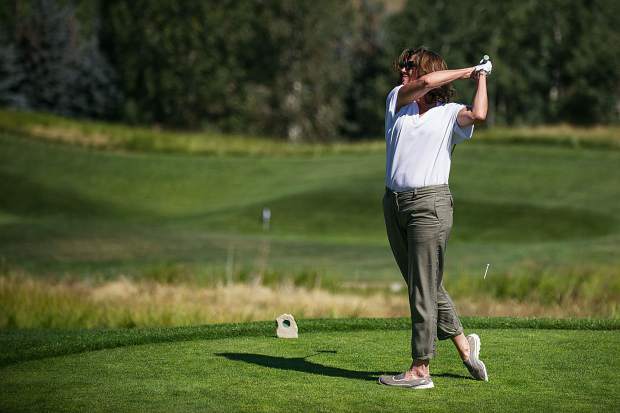 Singer Amy Grant tees off at hole 7 at the Snowmass Club for the Challenge Aspen benefit known as the Vince Gill and Amy Grant 14th Anniversary Gala and Golf Classic on Tuesday. Vince Gill, left and his group watch as Bobby Bradley tees off of hole 11 at the Snowmass Club for Challenge Aspen benefit known as the Vince Gill and Amy Grant 14th Anniversary Gala and Golf Classic on Tuesday. 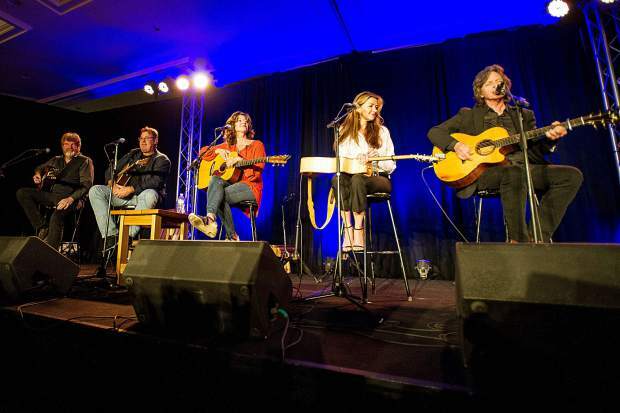 Vince Gill, Amy Grant and friends performing at the Challenge Aspen benefit known as the Vince Gill and Amy Grant 14th Anniversary Gala and Golf Classic at the St. Regis Monday evening. 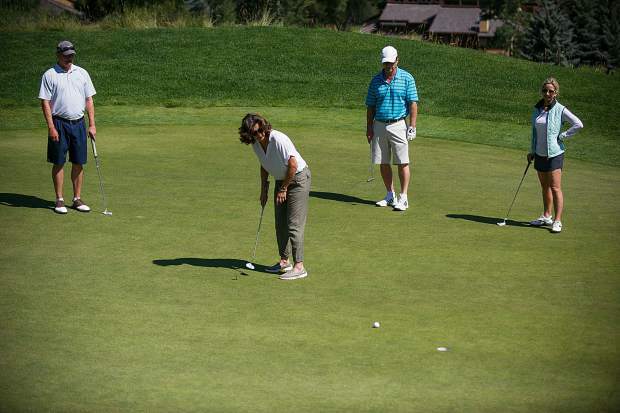 Singer Amy Grant putts at hole 7 at the Snowmass Club for the Challenge Aspen benefit known as the Vince Gill and Amy Grant 14th Anniversary Gala and Golf Classic on Tuesday. 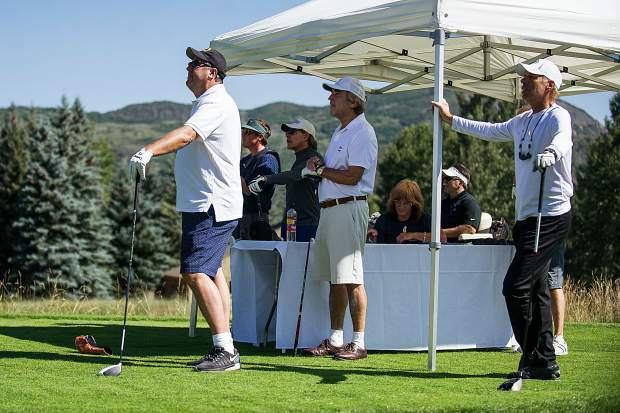 Golfers at hole 11 at the Snowmass Club for the Challenge Aspen benefit known as the Vince Gill and Amy Grant 14th Anniversary Gala and Golf Classic on Tuesday. Amy Grant and Vince Gill performing at the Challenge Aspen benefit known as the Vince Gill and Amy Grant 14th Anniversary Gala and Golf Classic at the St. Regis Monday evening. Country singer Vince Gill, left, jokes around Tuesday after Bob Devan, right, won a car with a hole-in-one at the Challenge Aspen golf fundraiser. 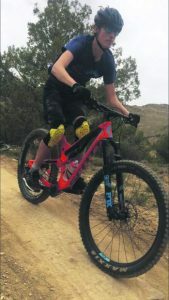 Devan, 71, of Basalt had one of three aces register Tuesday at the Snowmass Club event, but his was the only one that gardnered a new ride. Nicki Cader, right, got a hole in one at the Snowmass Club for the Challenge Aspen benefit known as the Vince Gill and Amy Grant 14th Anniversary Gala and Golf Classic on Tuesday. A rare sighting of an albatross and a couple of eagles were all the buzz Tuesday at the Snowmass Golf Club. 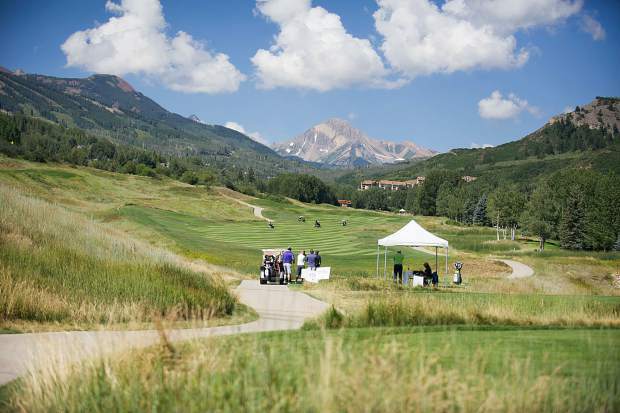 Not one but three holes-in-one — ranging from one on a par-4 for a teenager visiting his grandparents to a longtime Basalt resident who won a new car — capped a statistically crazy round in Snowmass for the Challenge Aspen fundraiser. 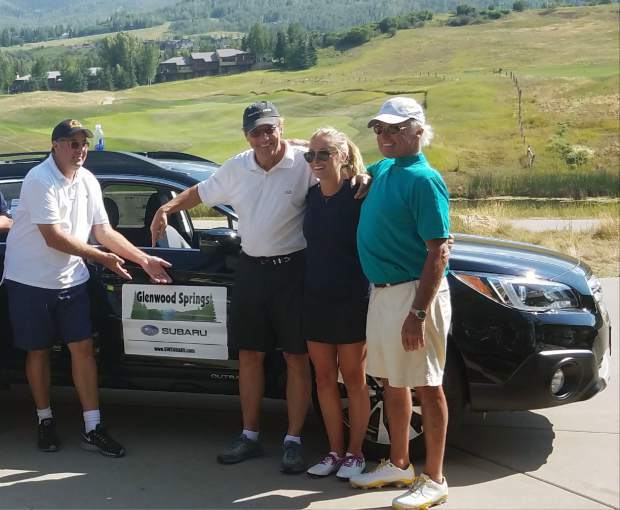 Bob Devan, 71, of Basalt and a member at the course, picked up a new ride from Glenwood Springs Subaru after he “pulled out a brand-new ball” and holed out a 3-wood on the uphill, 160-yard 17th hole, which has water along the front. Not to be outdone, Jack O’Donnell was visiting from Boston and the 15-year-old hit a solid driver on the par-4 No. 9, which was playing 337 yards with a front pin. 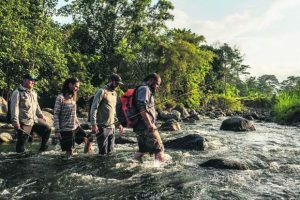 The ball stayed right of the lake, rolled downhill and “ran like a rabbit to the hole,” his dad said, and they scurried to the airport to make a flight home. 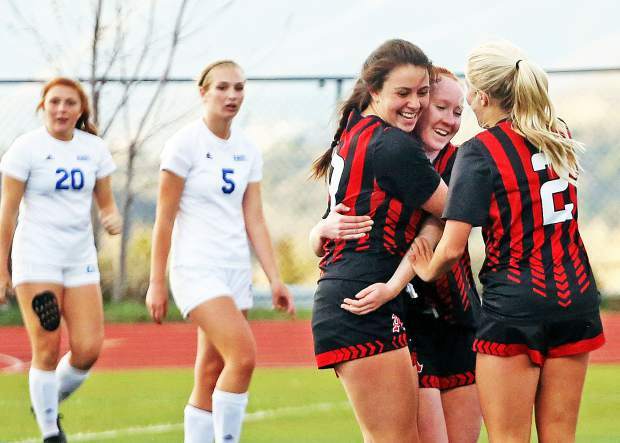 It’s the second time in three years the Glenwood dealership has given away a car in a tournament, general manager/owner Carroll Winkler said. 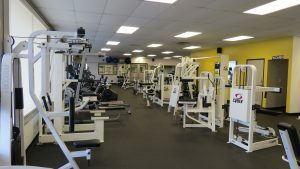 The dealership buys an insurance policy to cover the potential payout. Devan owns the car outright; it’s not just a two-year lease. 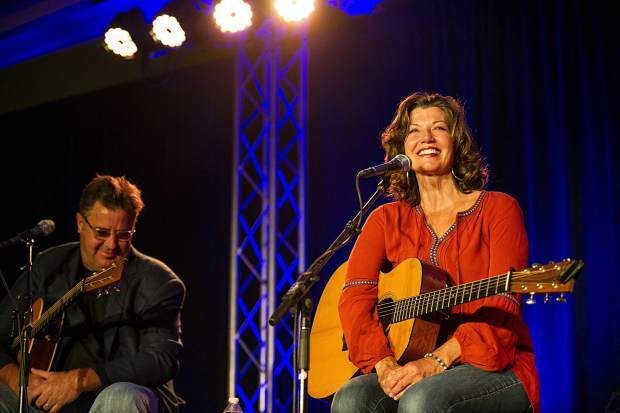 There’s never been one ace in the 14-year history of the Vince Gill and Amy Grant charity event for Challenge Aspen, and three in any one tournament is pretty unheard of. An ace happens once in every 3,500 rounds, according to the National Hole-In-One Registry. The odds of two amateurs in a foursome making aces in a round are 1.3 million-to-1, according the National Hole-In-One Association, which provides golf tournament insurance policies. The association calculates an amateur golfer has 12,500-to-1 odds of making an ace on a par-3. 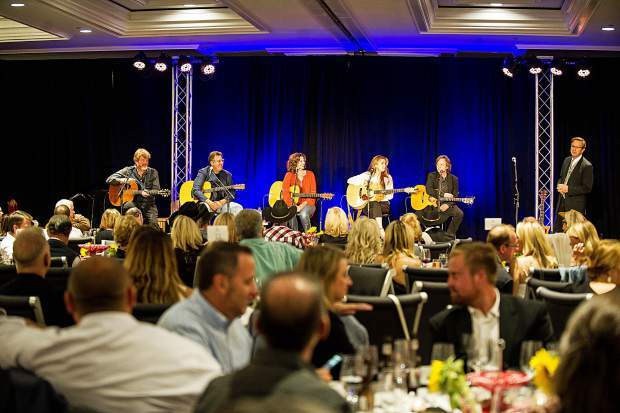 The three shots were a fitting end to the two-day charity event, which included a bidder at the gala Monday night spending $110,000 for a private concert with Gill and Grant.